Indeed for over 10 years after the 2007-2008 global financial crisis, which triggered a worldwide economic recession, bringing to a halt more than a decade of increasing prosperity for western economies, Nigerian investors are still recounting their losses, even as they battle with perennial issues bedevilling the nation's capital market. 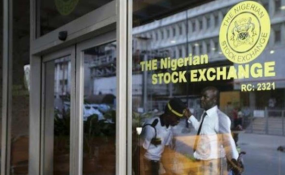 The situation, which has created significant liquidity problem for the equities segment, has further depressed the market, as retail investors do not have the purchasing power to patronise the market. Specifically, the Chief Executive Officer, NSE, Oscar Onyema, said: "One of the things we pride ourselves in doing at the Exchange is the protection of investors. We know that when something goes wrong, the first person you want to shoot is the Exchange, and possibly the SEC, because we are in the front line. "If I take Skye bank specifically, the Exchange has done a lot to protect the interest of shareholders, but please let us understand that we are operating in the market place where shareholders themselves have some responsibilities." He continued: "We operate within legal boundaries, and if you take banks, the primary regulator for banks is the Central Bank of Nigeria (CBN), and their own limits is different from ours, and we cannot say we will stop the CBN from taking regulatory actions against the bank. But we can encourage shareholders to make sure they keep their eyes on the board, and make sure that they ask the pertinent questions and hold the board and their management accountable. "We will make sure that disclosures are done, and we will not allow companies that are not disclosing to continue to be in the market. We will work with other regulators to make sure that if there is any way we can protect and preserve value for shareholders, that would be done," he added. The Head, Registration, Exchanges and Market Infrastructure Department, SEC, Emomotimi Agama, said: "Corporate governance is important for every institution. The monitors of corporate governance incidentally are the shareholders. So if the shareholders do not monitor the corporate governance of the institutions where they are investing or have invested, it is as good as throwing their money into the well." He continued: "The private placements are limited liability companies that do not fall within the regulation of SEC, and that is why investors must make inquiry. They must take their time to find out the nature of these companies, what do they do, what is the future of these companies? Also find advisers to do these for them, as no adviser worth its salt will review an account or a company and the company is bad and would tell the investor to invest in it." "The trend we are facing today is a challenge to shareholders that they should not be docile. They have the duty to know what is going on where they put their money. For quoted companies, shareholders are supposed to be very close to stockbrokers who are supposed to be their advisers. Shareholders are supposed to know what is happening and keep the board members on check. But what do we notice, people will buy shares, and they do not even know what is going on in the company."